While many know the Sino-Japanese conflict of 1931-1941 as a prelude to Pearl Harbor and the Pacific War, most laymen know little about the character and duration of this undeclared war between China and Japan. Sporadically, films like "The Last Emperor" or historical events such as the "Marco Polo Bridge" or the "Panay Incident" give fleeting glimpses into this decade. Others might mention Chennault's "Flying Tigers" or - for those of naval bent - exotic Yangtze River conflicts as portrayed in the classic film "The Sand Pebbles." Our intent in this feature is to illuminate this dark period and show how these little-known times and events spurred the Imperial Japanese Navy’s growing ambitions. Examining and chronicling these activities is important for they provide the testing grounds for many of the concepts and habits that follow in the Pacific War. Some habits acquired by both the Imperial Army and Navy prove exceptionally bad and counterproductive - while others instill valuable lessons in tactics and (painfully learned) limitations of design which are put to devastating good use in the first phases of the Pacific War. These range from IJN carrier operations to littoral troop support. Such learning curves during a changing paradigm have relevance to the present as well. A wide range of topics and chronology will unfold here to build feel and familiarity for the times. This new feature does not seek to be a comprehensive account or narrative of the immense overall Sino-Japanese conflict. However, we will attempt to place IJN’s operations, strategy, tactics, design changes and lessons in their geographical and political context. A word on format. We have arranged this content page in segments, each by geographical areas of operation and time periods in the conflict. Because records are both incomplete and ever-changing, these accounts are subject to more than the usual caveats of accuracy. Sometimes a photo album, or an overlooked eyewitness record can alter the history noticeably. We realize there are readers with more resources and knowledge on specific matters covered herein, and invite their input for careful consideration and possible additions or revisions. 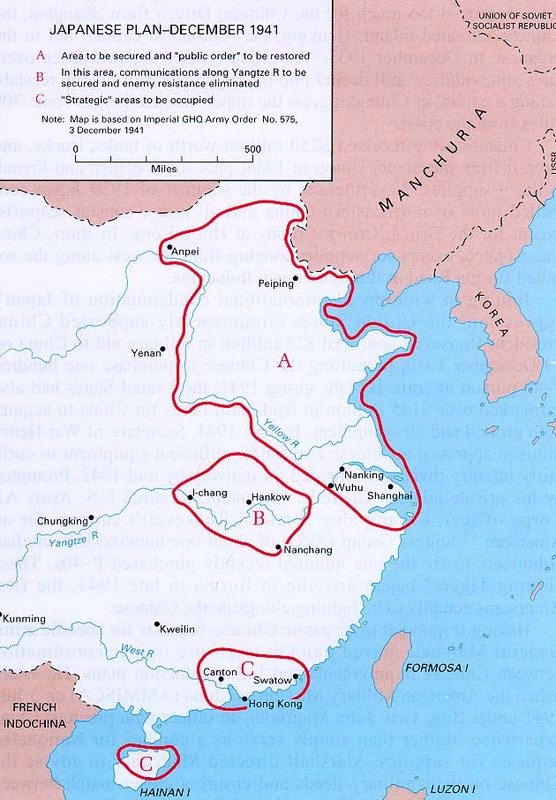 The Beginning of The Second Sino-Japanese War - "The Marco Polo Bridge Incident"
Mr. Robert D. Hackett is a military historian and researcher. Retired from the United States Air Force and later from the aerospace industry, he resides in Florida. Mr. Sander Kingsepp of Estonia is also a military historian and researcher. He is an editor of a construction magazine. A talented linguist, Sander's translations of Japanese source materials have added immeasurably to these TROMs. Mr. Anthony Tully is a naval historian/researcher and with Jon Parshall the co-author of "Shattered Sword: The Untold Story of the Battle of Midway." He is also the author of the "Battle of Surigao Strait." and of articles published by United Stats Naval Institute Proceedings and Warship International. He resides in Texas. Questions to the authors concerning these entries should be posted on the Discussion and Questions board.